This episode was based on the short story 'The Affair at the Victory Ball', first published in 1923 in The Sketch. The story was adapted for television by Andrew Marshall and directed by Renny Rye. The adaptation is more or less faithful to its source material, with some noticeable additions and changes. First, there's an introductory voice-over by Poirot on the characters of the Commedia del'Arte (in fact, there are repeated references to the different characters - a very useful and important explanation for viewers). Second, the actors here become BBC Radio actors, and an added radio producer becomes a friend of Hastings's. 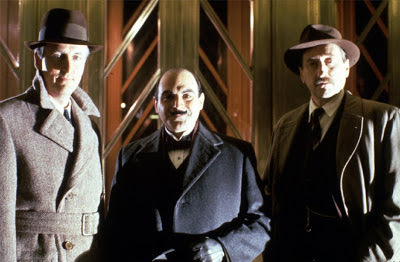 Third, Poirot and Hastings are both present at the Victory Ball, on the invitation of this friend. Fourth, there's an added interview with Davidson (and Davidson's character is a much more prominent character throughout). 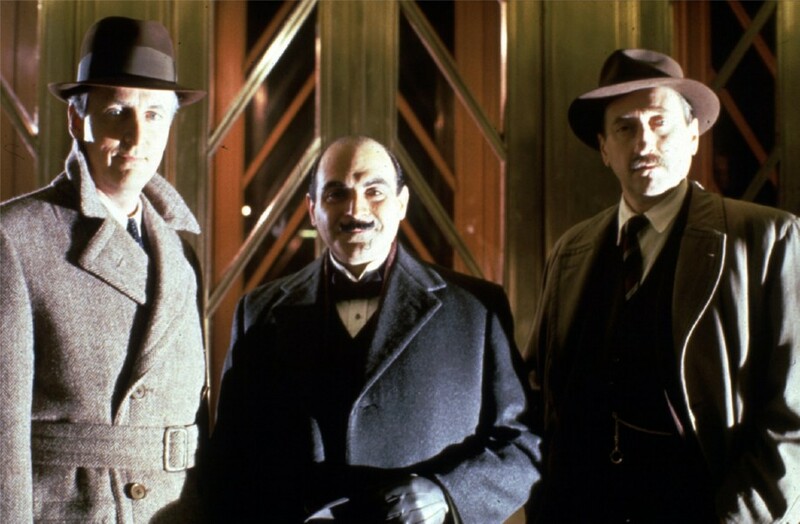 Finally, the denouement is moved to the radio studio, and the solution is changed somewhat (Davidson tried to implicate his wife, Poirot reveals him by the fact that he is left handed and Lord Cronshaw was right handed). All in all, though, the adaptation is a faithful retelling of the short story. Rye's direction works well for the episode, with excellent use of the extravagant ball scenes (the production designers and costume designers must have had a lot of fun with that one). Locations used include, of course, the Broadcasting House in London. The soundtrack is very effective, and Gunning released it on CD. Parts of it were also used for later episode scores (see, for instance, The Adventure of the Egyptian Tomb). Of the guest actors, there are no real standouts, but Nathaniel Parker (of later Inspector Lynley fame) is obviously a name to note. It is said that in film "nothing is done accidentally." So there must have been some reason why we see Miss Lemon turn on the radio for Poirot's broadcast, and why she looks decidedly delighted. It's not just "Good, now we'll get this case solved." It borders on a groupie listening to her beloved actor or singer. She's hearing her friend on the radio - of course she's delighted. Wouldn't you tune in if your friend was on the radio or TV? Nice to see Charles Collingwood (who now portrays Brian Aldridge in 'The Archers') as the BBC Announcer! By the way, does anyone know the location of the building used as the Colosseum where the Victory Ball was held?